In today's Darth Maul review, yo said that the only thing he can't do is split in half. 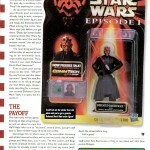 Well, Hasbro did once release a Darth Maul that could do that - it was in 2000, in the "Power of the Jedi" line. 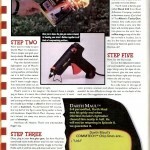 But ToyFare magazine had already come up with the same idea in July 1999, and gave fans instructions on how to create a "Defeated Darth Maul" figure to fool their friends. What's the funnest thing in the whole wide world? Err... besides lying around naked with a jumbo bag of cheddar cheese popcorn watching a Greatest American Hero marathon. Let's rephrase the question: what's the second funnest thing in whole wide world? Screwing over your friends, of course. With that in mind, we've devised an elaborate plot to play upon your favorite toy-collecting friend's weaknesses, shake the foundations of his trust in reality and, best of all, make him look like a total dumbass. So, how many of you have been toy fans long enough to remember seeing this when it first came out? And did any of you actually try it? 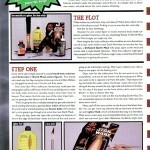 This entry was posted in addendums and tagged Star Wars, ToyFare. Bookmark the permalink. Haha, I remember this! 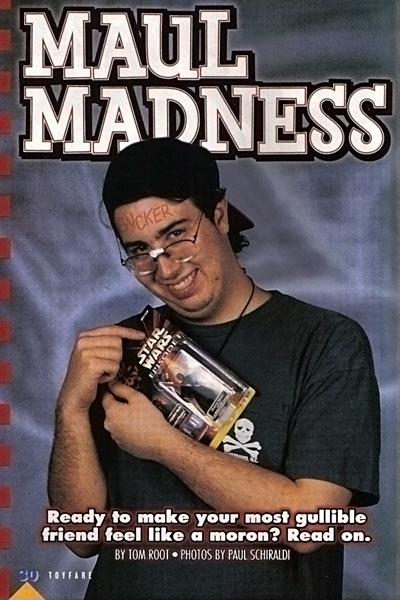 I used to let a buddy of mine borrow my Toyfares--when the actual "split in half" Maul was released, he was totally convinced it was me trying to pull this stunt on him! oafe ist mentonies in the lusat of websites?I just noticed that.